Sometimes you need to convert a certain text from lowercase to uppercase or from uppercase to lowercase. Purely and simply, the currently selected text will be converted to uppercase or lowercase in any Windows program. It is possible from QuickTextPaste version 3.33! 1.) ... Working with Lower Case And Upper Case! 2.) ... It also works under Windows 10? See also: ► Replace function with special character support! ► Paste plain text from the clipboard! 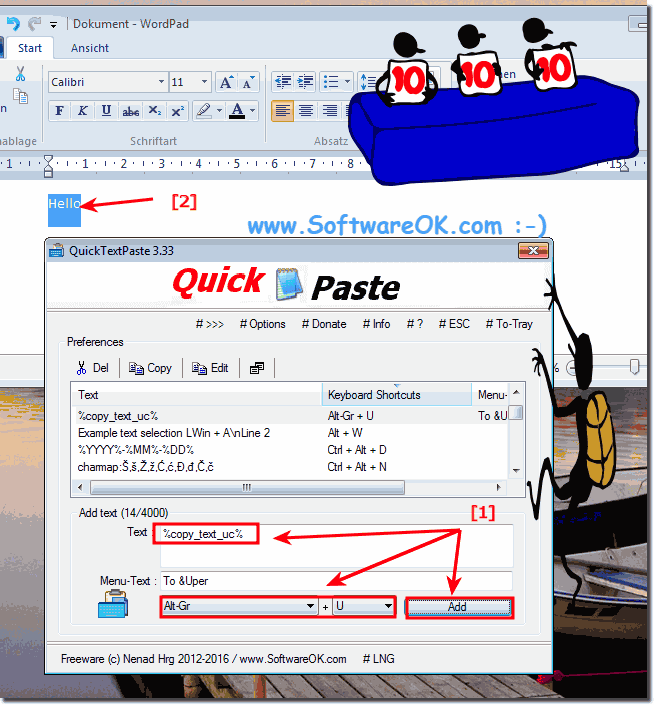 Now to explain, %copy_text_uc% causes QuickTextPaste to paste the selected text from the foreground program into the clipboard and send it back to the active or foreground program by paste (paste) as a capital letter Text. And so, the selected text is placed in the clipboard and is inserted through QuickTextPaste at the place from the placeholder %copy_text_uc%. (Image-1) convert text from lowercase to uppercase! 2.) It also works under Windows 10? It is independent, regardless whether a text to be converted to uppercase or lowercase letters. Under Windows 10, Windows 7, 8, or 8.1, or other versions of MS Windows, it always works! There are no limits for this feature :-) how to use this meaningful convert function. It works at QuickTextPaste Version 3.33! 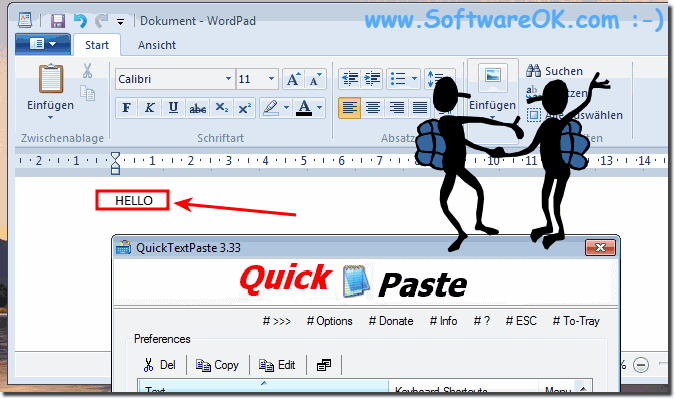 QuickTextPaste - FAQ-18: What can I do with %copy_text_uc% and %copy_text_lc%? send_tab and send_enter command in Windows, how to?